Educational Day Camp Program at Georgia Nature Center. EcoCamp is a trademark of World Environmental Organization. All rights reserved. E "My group of 35 fifth to seventh graders loved the EcoCamp. It was a great experience for my students and both they and the parents who went were truly amazed at what they learned. Several remarked that this was the best field trip they had ever been on." Join us for one of the most innovative, engaging and educational day camps in the United States! 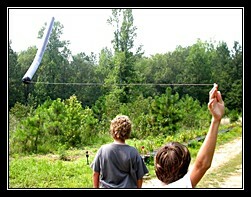 Not only will your kids enjoy exploring the wilderness on over 100-acres of the Indigo Nature Preserve in Watkinsville, Georgia, they will also learn about everything from solar power to organic gardening, tornadoes and other severe weather, building underground homes and caring for endangered carnivorous plants. EcoCamp is held in Oconee County, 20 minutes south of Athens, 20 minutes north of Madison, and 75 minutes east of Atlanta. EcoCamp allows campers to explore the outdoors while learning about clean energy, organic farming, carnivorous plants and more. We explore solar and wind power within the Clean Energy Exhibition, carnivorous plants within our greenhouse and outdoor gardens, and gardening within the organic farm. Each day also includes two guided nature hikes. Click here to view a list of EcoCamp activities. Your child will learn to better enjoy, understand and appreciate the natural environment through dozens of interactive activities. We limit the number of kids for this program, so we encourage you to sign up early as some sessions may sell out. Please click here to register your child now! EcoCamp at any time with advance notice. Please call 1-800-800-2SUN for details. or all five days of an EcoCamp session. 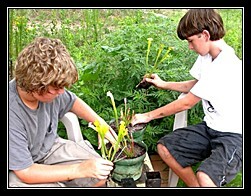 View EcoCamp Activities to learn about camp projects. and picked up as late as 5 p.m., by paying a small extra fee at registration. friends and family can join in on at no extra charge. 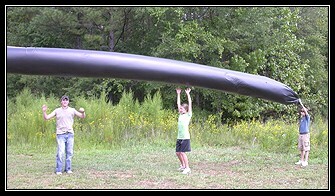 Launch a 50-Feet Long Solar-Powered Balloon at EcoCamp! 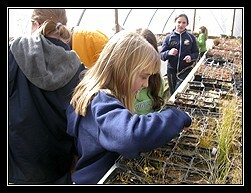 Some schools prefer to create custom one and two-day EcoCamp sessions for gifted students from 1st to 5th grade. 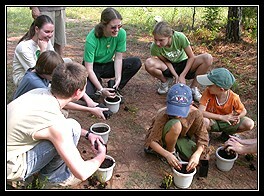 As long as there are 10 or more students in your group, we can create an EcoCamp program on any day or days of the week. Rather than just taking a short field trip, Gifted Students will spend anywhere from 6 to 8 hours at the center over one or two days, building solar toys, planting carnivorous plants and participating in other experiences they will remember for the rest of their lives. 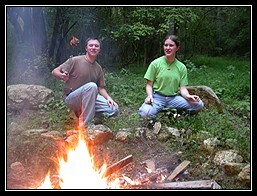 (Read about all available EcoCamp Activities.) 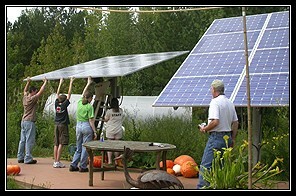 Fees range from $29 to $49 per student, including materials such as plants and solar kits which students can take home. Please call 1-800-800-2SUN for details. EcoCamp is a trademark of World Environmental Organization (WEO). Content of this page and the EcoCamp program Copryight � 2006-2011 World Environmental Organization. All Rights Reserved.